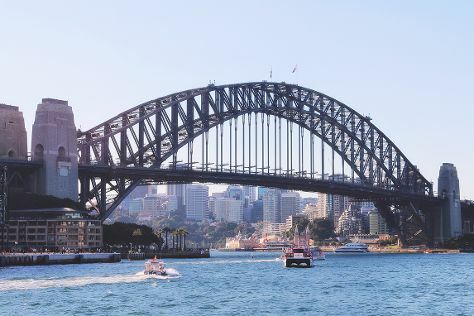 Kick off your visit on the 24th (Mon): take in nature's colorful creations at Royal Botanic Garden Sydney, then catch a live performance at Sydney Opera House, then take in the views from Sydney Harbour Bridge, and finally wander the streets of The Rocks. For where to stay, photos, reviews, and tourist information, read our Sydney online trip itinerary builder . New York City, USA to Sydney is an approximately 26-hour combination of bus and flight. You can also do a combination of bus, flight, and train. The time zone difference when traveling from New York City to Sydney is 15 hours. Expect little chillier temperatures when traveling from New York City in June; daily highs in Sydney reach 65°F and lows reach 50°F. Finish your sightseeing early on the 24th (Mon) to allow enough time to travel to Broome. Start off your visit on the 25th (Tue): take an in-depth tour of Broome Historical Museum, explore the striking landscape at Gantheaume Point, then enjoy the sand and surf at Cable Beach, and finally see the interesting displays at SSJG Heritage Centre. Plan trip to Broome with our itinerary maker to find out where to go and what to do. Getting from Sydney to Broome by flight takes about 8.5 hours. Other options: drive; or do a combination of bus and train. The time zone difference moving from Australian Eastern Standard Time (New South Wales) to Australian Western Standard Time is minus 2 hours. 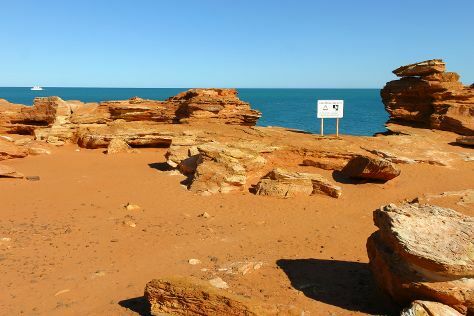 When traveling from Sydney in June, plan for warmer days and somewhat warmer nights in Broome: temperatures range from 86°F by day to 61°F at night. Finish your sightseeing early on the 25th (Tue) to allow enough time to travel to Cairns. You'll explore the less-touristy side of things at Botanical Gardens and Palm Cove Beach. When in Cairns, make a side trip to see Wildlife Habitat Port Douglas in Port Douglas, approximately 1h 15 min away. Spend the 26th (Wed) among aquatic life with a scuba or snorkeling tour. It doesn't end there: let little ones run wild at Muddy's Playground. To see traveler tips, reviews, and other tourist information, read our Cairns online journey maker . Traveling by flight from Broome to Cairns takes 10.5 hours. Alternatively, you can drive; or take a bus. You'll lose 2 hours traveling from Broome to Cairns due to the time zone difference. Expect little chillier weather when traveling from Broome in June: highs in Cairns hover around 79°F, while lows dip to 66°F. Wrap up your sightseeing by early afternoon on the 28th (Fri) to allow time for travel back home.